Harvard University’s president remains confident that the school will win in a lawsuit that claims the university holds Asian-American applicants to higher standards during the admissions process. 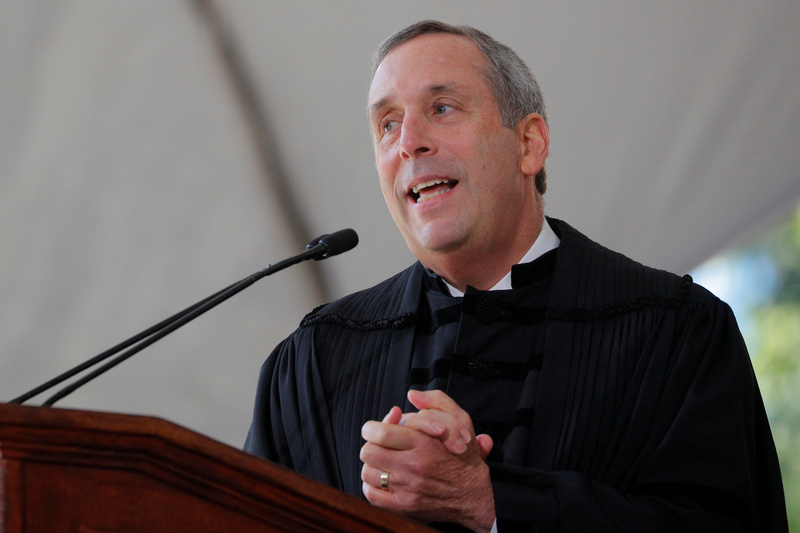 University President Lawrence Bacow has not sat in on the trial held in a Boston federal court. However, he receives updates from Harvard general counsel Robert Iuliano. Iuliano has been at the court proceedings, The Harvard Crimson reported Wednesday. Bacow added that he has not intervened in the college admissions process. The trial revealed that Asian-American applicants often received lower personality scores than white applicants due to weaker recommendation letters from teachers and counselors, though there was no comparison revealed against other racial groups. A 2014 handbook for admissions officers showed guidelines for personal ratings among other factors. Personal ratings were broken into six different categories, though it was not explicitly said what determined an “outstanding,” “bland” or “questionable” personality. The court proceedings also demonstrated that applicants related to donors could be included on special lists like the “Dean’s Interest List” or “Director’s Interest List.” Those on the special lists had an acceptance rate of 42.2 percent between the class of 2014 and class of 2019. Early admits to the school were accepted at 14.5 percent while regular admits were accepted at 4.59 percent. Ruth Simmons, former president of Brown University in Rhode Island, defended Harvard for giving an extra boost to legacy students and applicants linked to donors. She believed the school would receive fewer donations if legacy preferences were gone, The Crimson reported. Harvard’s Office of the President did not immediately respond to The Daily Caller News Foundation’s request for comment.